These different weather conditions and circumstances put great stresses on your roof. Loose slates and tiles can easily go undetected until a gust of wind blows them off the roof, causing a dangerous hazard. Leaks can very often occur around chimney breasts where cement work or lead is used to create a seal between the roof and the brickwork. Over time, with expansion and contraction, this flashing can degrade causing problems. 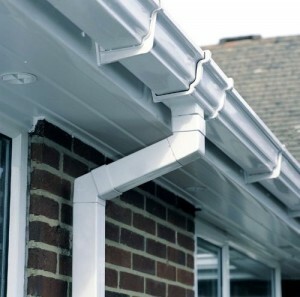 Other roof problems usually involve either guttering or fascias. Wooden fascias can soon rot if exposed for too long to the elements, and that rot can quickly spread to the roof trusses causing an expensive problem. Most homeowners never go near their roofs until they notice a problem. It is often the case that a little roof maintenance could save a large expense in the longer term. Your home is an investment and keeping it in good condition is just good economic sense. A stitch in time frequently saves nine, and the same goes for your roof. Knowing that your roof is secure and watertight will give you piece of mind during the harshest of winter weather. During the roofing process there is a lot of heavy lifting and roofing materials that need moving around the construction site. One of the most common construction machines is the backhoe loader. This is mostly due to the backhoe loaders remarkable versatility, with a from loader and extending arm for digging and lifting, they are frequently used for lifting roofing materials to the roofline.